Need less work and more play? If you’ve ever wished that you could stop time or that there were more hours in the day, talk to Extra Help. We provide a range of services to help busy, working people to make the most of their leisure time. When you’re working flat out, any spare time you may have is precious to you. Extra Help can take care of those essential chores while you spend time with your friends and family, relaxing and re-energising. Imagine coming home from work to a freshly prepared meal, or being able to spend the weekend relaxing in the garden rather than working in it! 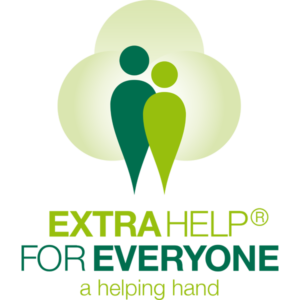 And the best thing about Extra Help For Everyone is that we’re only available when you need us. We can provide you with regular or ad-hoc services, so you can call upon us to help out at times when life is particularly busy or stressful. You don’t always feel like cooking when you’ve been out working all day. Extra Help can prepare healthy and nutritious meals for you to come home to, taking any preferences and dietary requirements into consideration. There’s nothing better than coming home to a clean and tidy house after a hard day. We can deal with cleaning, dusting, vacuuming and laundry to help you to keep on top of domestic tasks around your home. We can also take care of your ironing so that you’re never faced with a mountain of it after a day’s work. Spending time in the garden helps you to de-stress and relax. We can deal with all types of garden maintenance, including weeding, planting and lawn-mowing, so it’s all ready for you to enjoy at the weekend. DIY and household maintenance tasks always tend to take a back-seat when you have a hectic working life. You can call upon Extra Help to assist with many tasks around the home, such as assembling flat-packed furniture, putting up shelves, fixing leaky taps or wiring in light fittings, so your free time becomes your own again. Dogs need physical and mental stimulation and can get frustrated if they’re not able to be walked regularly, which often leads to behavioural problems. But sometimes walking the dog is the last thing you feel like doing after a hard day. Or if you have a dog that stays indoors all day, we can walk it for you while you’re out at work.